Fill in our quick and easy project questionnaire! Converting a paper-based language syllabus into an engaging mobile app for school learners. Slimvis is a product of Upstream Education, a KwaZulu Natal-based organisation that aims to bring high-quality digital, educational content- created by exceptional teachers- into South African classrooms and homes. 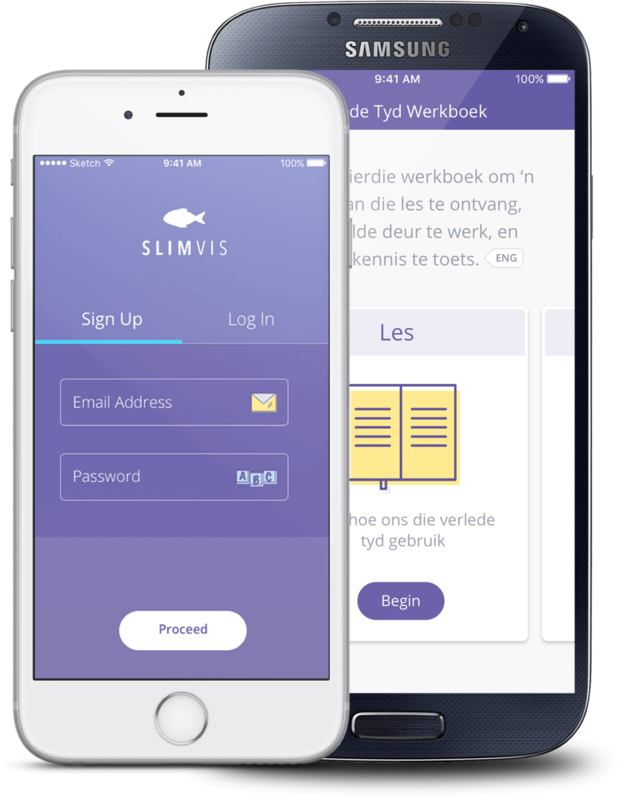 Their mobile app, Slimvis, empowers learners by guiding them through a set of Afrikaans Grammar and Comprehension sections that comprise of interactive lessons, exercises and tests. Isoflow was primarily asked for help with the user experience of Slimvis, focusing on the creation of interactive question mechanisms. We also designed several key screens for the app. We began by holding several workshops with the team in order to gain valuable insight into the current Afrikaans school curriculum. Our challenge was then to design a set of interactive question mechanisms that could be used across all lessons, exercises and tests in the app. Lastly, we created a cheatsheet showing each mechanism assigned to its appropriate question scenario within each language section, helping the SlimVis team to quickly generate content. The app is intended to have 3 versions: grade 7-8, grade 9-10 and grade 11-12. 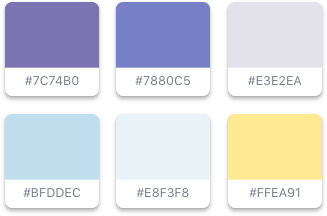 We decided to apply different colour palettes to each version, in order to maintain the learnersâ€™ interest. Considering the app is targeted at high school learners, we aimed to keep colours light-hearted and bright, to reflect the fun and engaging nature of the exercises. We supplied the Slimvis team with 3 colour palettes, and carried one through the key screen designs. Detailed wireframes made designing Slimvis a smooth process, as our designs focused on keeping a simple, clean interface using large typography for easy legibility, as well bright playful colours and gradients to keep the learning process fun. We sourced quirky, playful illustrations and iconography to emphasise the nature of the app. "Working with the enthusiastic and talented Isoflow design team made the creation of my app less daunting and more achievable. They saw the potential of my dream and worked alongside me every step of the way. To have such a supportive design team made it possible to achieve more than was ever imagined, faster than was ever imagined. Working with Isoflow, I was in good hands." Animation plays a big role in the Slimvis application as the interactive question mechanisms form part of all of the lessons and tests. We prototyped out a few of the question mechanisms to illustrate the interactive nature of the appâ€™s learning processes.